VoIP Services: Is It Really Easy Being A VoIP Vendor? Being a VoIP Vendor is a fun job. There's not much to do in it. However, the easier a task seems, the more intense it's groundwork is. There's a lot involved with regard to the core of it. 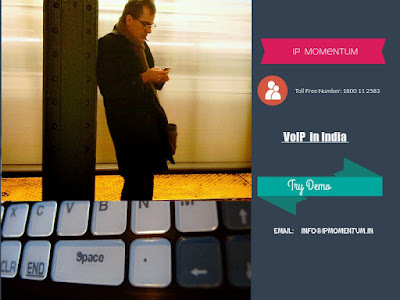 Whom are VoIP Opportunities open for on a commercial level? If you're an entrepreneur who is wishing to participate or already are in the VoIP marketplace. If you're a manufacturer or a service provider and wish to add VoIP Services to your existing services and products. Entrepreneurs of today's time view VoIP in just the right way. They consider VoIP to be a wonderful opportunity to bring about low entry cost, easily available software and hardware solutions, low barriers with regard to competition and so on all across the globe. So, where's really the problem? The problem is same as the opportunity meaning, several VoIP providers in India and other countries all around the world have come up. All of them have almost the same services, benefits, calling plans and so on. The solution? Do not look for any fast solutions because there ain't any. Yes, VoIP is an easy business but a difficult business to profit from. Easy answers implies to overlooking the details which run the business, the details which truly matter. So, here's a question: Is VoIP an outdated opportunity for entrepreneurs? Not at all! There are so many possibilities which are yet to be explored or even discovered just like the internet! It's just like any other business- full of risks because of the number of competitor. You never know when you shoot up, when you fall! good business and marketing strategy. Who can your target audience be? The answer is simple- everyone! It's all about your marketing strategy. How you approach, whom you approach and what offers you have for them. In simple words, what is that one thing that sets you apart from the rest? You as an entrepreneur needs to find that out and develop to it's maximum. See, how the top-most VoIP service providers in India, for instance are right on the top. Every company has something unique in them which is why they still exist in this business. Do enough research, observe, learn and unlearn! Coming back, yes, you can target residences, corporate companies on a broad level. Residential VoIP is very popular due to migrants all across the globe mostly. Especially in countries like India, residential VoIP is popular as they love keeping in touch with their loved ones all the time! Several additional features like video conferencing, call forwarding, voice mail and so on help them get closer to them at the maximum. When it comes to companies, Business VoIP is extremely popular as companies need to make maximum profits. As a matter of fact, one of the most expenditures are done with regard to the communication bills! VoIP Services have been able to overcome that issue completely. VoIP service providers provide with unlimited calling plans which help them to choose and customize from every now and then bringing their employees close to one another and active client- company communication and so on. What can help your VoIP service stand out from the rest? Provide your customer with the most satisfying customer service support. Don't just say it, do it! Provide your clients with the facility of customization of their VoIP calling plans. Be transparent with the bills and provide them with flexibility with regard to changing plans. Most importantly, provide your clients with free or several options with regard to additional features! That will improve the quality of communication and more variety with regard to mode of communication as well. The most important thing, set the right expectations. It's very important to deliver what you've promised to. Over- exaggerating your brand and its facilities and so on is eventually going to lead to non- deliver ability of your services, leading the client to decline from your VoIP Service. Always think from the client's perspective. Very well written about the VoIP service. You really did a great job by posting this nice and relevant information.